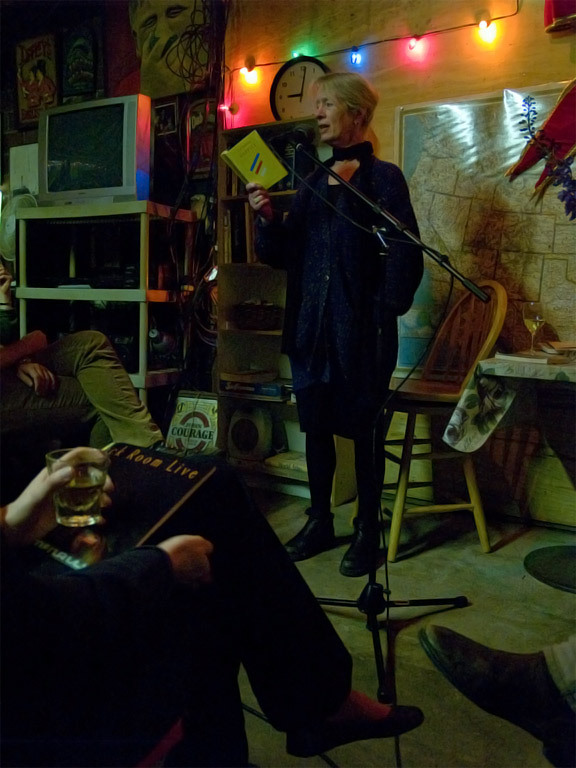 Lyn Hejinian is a poet, essayist, and translator; she was born in the San Francisco Bay Area and lives in Berkeley. Published collections of her writing include Writing is An Aid to Memory, My Life, Oxota: A Short Russian Novel, Leningrad (written in collaboration with Michael Davidson, Ron Silliman, and Barrett Watten), The Cell, The Cold of Poetry, and A Border Comedy; the University of California Press published a collection of her essays entitled The Language of Inquiry. From 1976 - 1984, Hejinian was the editor of Tuumba Press and from 1981 to 1999 she was the co-editor (with Barrett Watten) of Poetics Journal. She is also the co-director (with Travis Ortiz) of Atelos, a literary project commissioning and publishing cross-genre work by poets. In the fall of 2000, she was elected the sixty-sixth Fellow of the Academy of American Poets. She teaches at the University of California, Berkeley. just a handful of photographs. That said, I will try to do what I've done with other photo narratives here, and tell a story of 2008 in photographs. It's not the story of 2008, it's certainly not all stories, but as a collection it does show a good portion of what life has been like over the past 12 months.